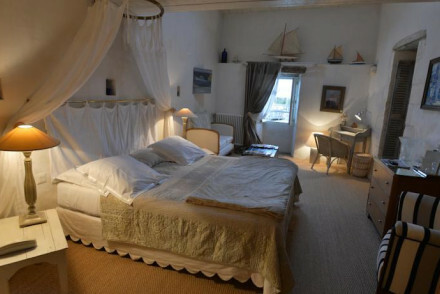 Connected by a slim, 3km long road bridge to La Rochelle and the Charente-Maritime region, the Île de Ré is a thin strip of sunny gorgeousness known for its whitewashed villages, spectacular ocean views, old ramparts and peaceful, beachside atmosphere. 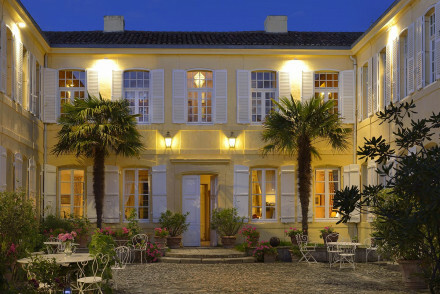 Our Guru’s selection of the best places to stay on the Île de Ré include some rather luxurious small hotels, beautiful, but reasonably priced old villas and some properties with seriously amazing ocean views. 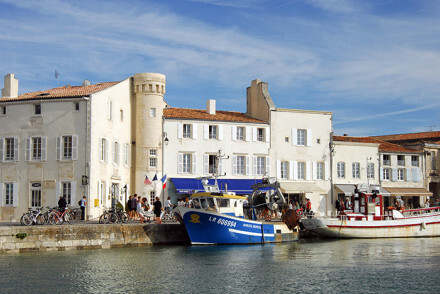 As well as enjoying the pleasures of the main town, the fishing port of Saint Martin, with its fantastic ramparts and streets filled with little boutiques, galleries, craft shops, bars and restaurants, visitors to the Île de Ré should also make time to go round to the south side. This is where you'll find all the best sandy, sloping beaches, and is a good place to try a spot of riding, surfing or golf. Climb up the narrow steps of the church tower of the Eglise Saint Martin to marvel at the wonderful panoramic views of St Martin and the whole island. Be sure to remember your camera! Go for a bike ride or a hike through the poppy fields to the see the historic ruins of L'Abbaye des Chateliers, a picturesque spot. Bring along a picnic and spend the afternoon at the lovely Plage de la Conche des Baleines. Wander around the Marche Medieval, a typical village market with various stalls selling locally made produce as well as jewellery and clothing. The best places to stay on the Île de Ré do get busy during peak season, so it’s worth booking ahead. Use our guide to the top properties on the island and start planning your summer getaway. The 20-room Hôtel de Toiras is situated in the port of Saint Martin, and offers fantastic ocean views from almost all of the elegant rooms. 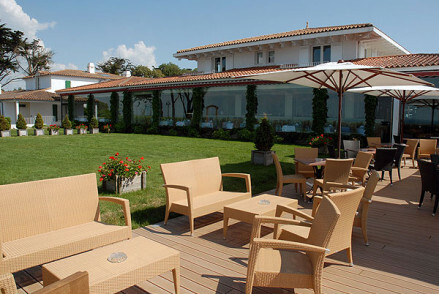 There’s also a heated outdoor pool, an in-room treatment menu and a fantastic restaurant. La Maison Douce enjoys a quiet location, tucked away in a narrow street in Saint Martin. Their quintessentially French country-style rooms boast private balconies and roll-top baths, whilst you can enjoy breakfast each morning in the picturesque rose lined courtyard. 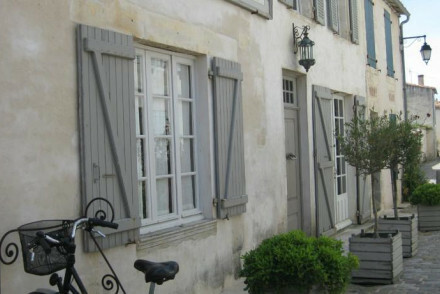 Le Corps de Garde is a characterful B&B offering splendid views over the marina. Their spacious rooms ooze rustic charm and there are a number of relaxation therapies to help you feel a million miles away from all your worries. The Villa Clarisse is a pretty country house with nine nautical rooms, a pool, gardens and small spa, plus it’s just a short stroll to the beach. Les Bois Flottais is a contemporary hotel just minutes from the beach. Boasting chic, well-designed bedrooms as well as two swimming pools, you can also unwind with a massage for utter relaxation! A lovely stay. Le Richelieu is a sophisticated, 40-room hotel with spectacular ocean views and bright, elegant rooms - most featuring a private terrace. It also has a pool, thalassotherapy spa and a Michelin starred restaurant. Le Clos St Martin has 33 beautiful bedrooms with plate, neutral decor, two heated pools, peaceful landscaped gardens and a Clarins spa. La Baronnie is a magnificent, 18th Century manor house surrounded by its own beautiful gardens. Inside are 22 light and airy reasonably priced rooms with all the mod cons plus there’s a living room, library, spa and heated pool. Le Senechal offers a laidback haven whose rooms are decorated with flair and style. There's a small plunge pool, pretty courtyards for sitting out, and Ars-en-Re's restaurants and bars are just a short stroll. What's more, rooms start from as little as €79 per night. The weather is at its best during the peak summer season, with the average temperature climbing to 22°C in August. But if you want to avoid fellow tourists then early autumn is a better bet - the weather's still around 20°C, so it's perfectly pleasant. Ryanair fly from Stansted to La Rochelle, whilst Jet2, Flybe and Easyjet also fly here from a number of UK airports. To get to Île de Ré from La Rochelle you can hop on the bus from outside the SNCF railway station which takes you directly there. 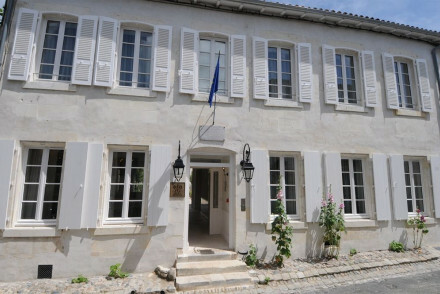 Browse through our list of all the best places to stay on the Île de Ré. Expand your search to include out recommendations for the best places to stay in La Rochelle.